There is nothing more satisfying than seeing a home transform from an unloved, run down and decrepit structure into a beautiful, warm and inviting space. Today's example is no exception. 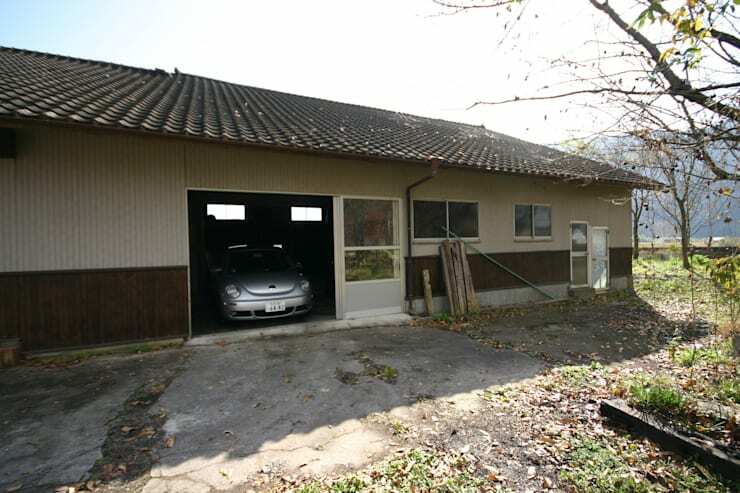 This Japanese home used to be a warehouse. It was unattractive and old-fashioned as well as a mess of clutter and chaos inside. 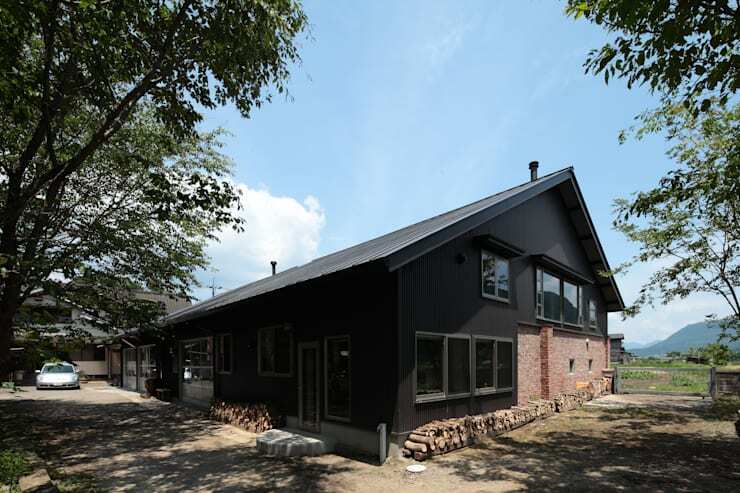 After these fantastic Japanese architects were done with the space, it is totally unrecognisable. Today, we will see just how far goodness can go, thanks to these fantastic professionals, with this impressive rags to riches tale! 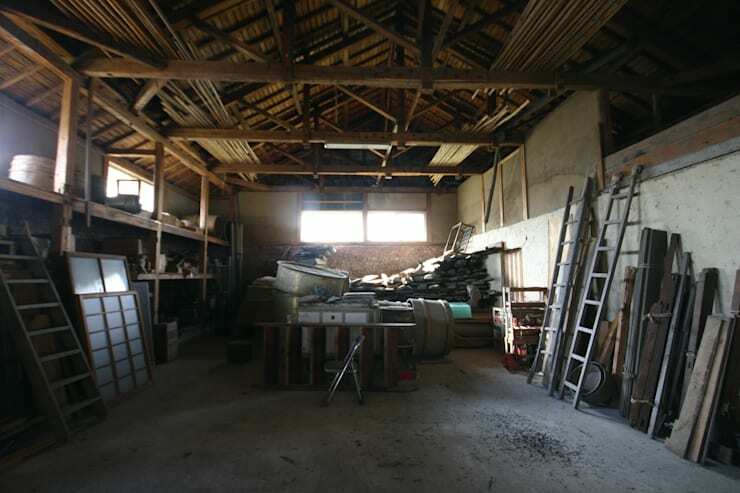 From the get-go, we can see how run down and shabby this warehouse is. While it is large in size and set on an expansive property, there are no other redeeming factors to this piece of architecture. The facade is a mixture of brick, wood and corrugated iron. None of these work together very well! The facade also hasn't been very well cared for, making it look very tattered and stained. Would you ever have thought about this transforming this warehouse into a trendy home? Can you believe how modern, sleek and chic this old warehouse looks? 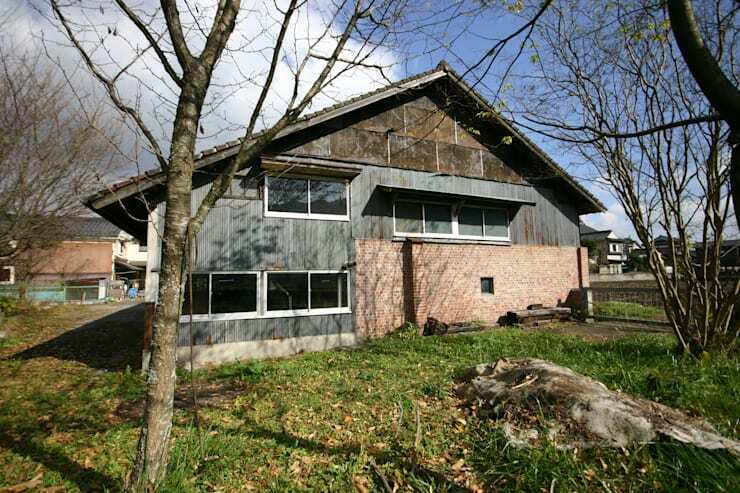 It's now a wonderfully large home which boasts a country-style exterior. The facade has been completely replaced, now finished in dark wood and stone. Do you see how beautifully these work together? What's more is that the designers have chosen to line the perimetre of the home with stacked logs, which are not only functional but enhance the entire look and feel of the home. Cozy and homely! From this side of the old warehouse, we can see the old tiled roof, the 1970s looking doors and the peeling exterior walls. We can also see how the garden was just as run down as the rest of the home. There are piles of sand and leaves all over the place and the grass looks brown and damaged. Is your garden looking tired like this one? Look at these stunning garden ideas for cutting edge homes. Not even the nice car can make this warehouse look better! If we head inside this warehouse turned home, we come across the warm, cozy and modern living room. 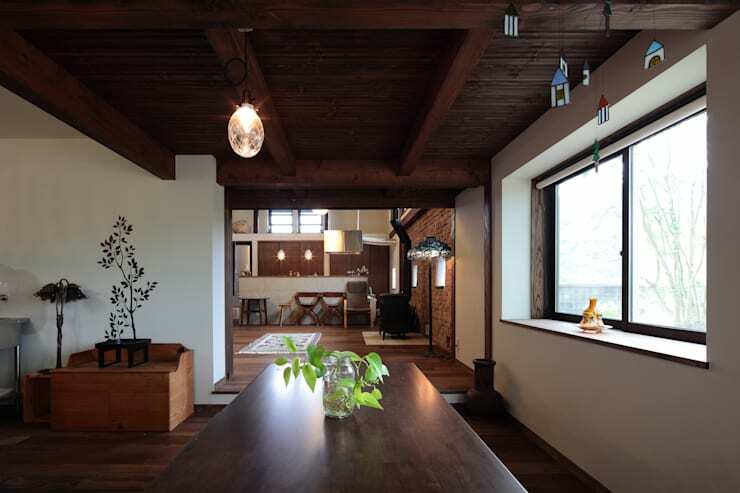 We can see that the designers have retained certain elements from the previous structure, including the industrial ceiling beams. These have been repainted, giving them a very new and retro look and feel. 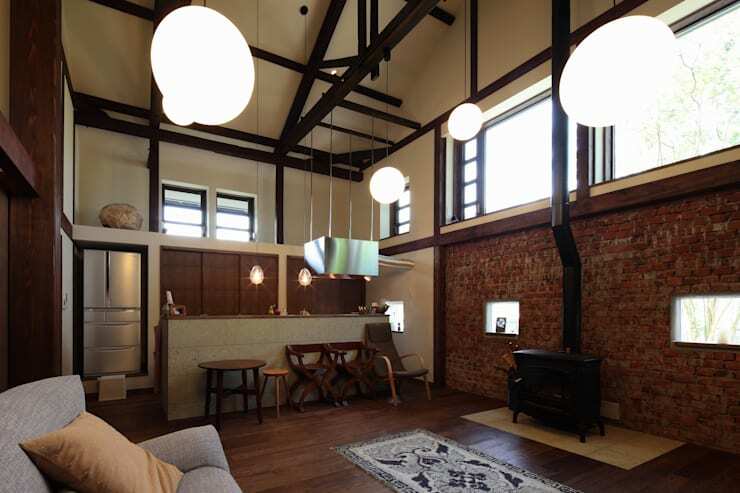 The high ceilings from the old warehouse also enhance the entire interior, giving it a very spacious and open ambiance. Don't you love how the different brown tones work together in perfect harmony, including the wooden floors, the stone walls and the dark brown ceiling beams? Lighting is also key to the newly refurbished space. The designers have included soft lamps across the entire interior, giving the whole space a soft glow. Even though the old warehouse was meant to be for storage, this place is an absolute mess! Ladders, pieces of old furniture and pieces of wood are all packed together in this small space with no organization at all. The result is a dusty and chaotic room! There is also very little light in this space. Remember that no matter what your buildings are for, you want them to be trendy, stylish and neat. In this image, we can see how the designers have introduced some personality and style into the new, modern home. Art work and decor items have been carefully positioned around the space, creating a very charming interior. Natural light plays a wonderful role in this new structure. Look at how it enhances the entire space, opening up the entire room. 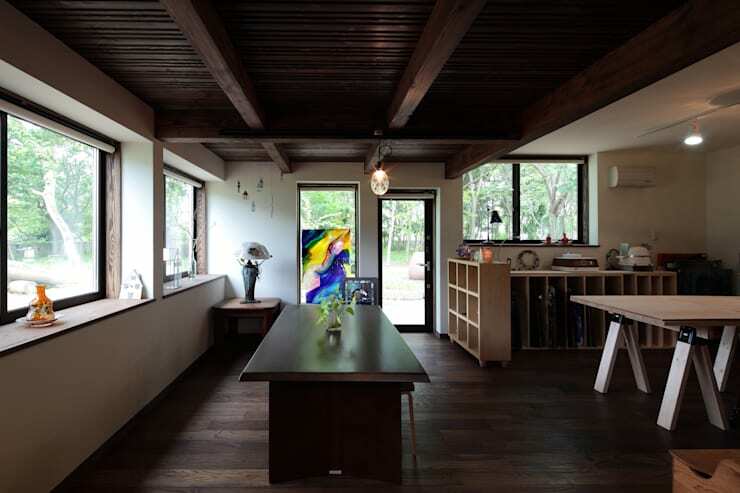 From this angle, we can see how each of the rooms open up onto one another, creating the perfect open plan home. The dark furniture in each of the spaces connects the rooms, along with the wooden floors. In this room, we can see the modern dining room and the way that the designers have used wall art to create the perfect decor style in the form of a tree on the wall. These are so easy to use! Simply buy a vinyl sticker according to your tastes and stick it on the wall. When you want to take it down, you just need to peel it off. This is a before and after that should inspire you to maintain and look after your own home! What do you think of this transformation? Leave a comment below.